When you are a working professional, sometimes you may need to go out without minding the pollution and dust affecting your hair. You may think using hair creams may do the trick. Well! It not the right way. Going the natural way is safer to attain a smooth hair. There are terrific natural hair strengthening ingredients, tips, and tricks that boost the silkiness of your hair. You would not need to go the chemical way. The smooth hair attained by the natural methods are long lasting and does not have any side effects. However chemical smoothing tends to do a damaging effect on the hair health. Stay with us to find out how you can naturally smoothen your hair. You have got great tips to get smooth hair and then try any hairstyle ideas to look ravishing. Nothing is nourishing to the body as water. Rinsing the hair regularly with cold water will seal the upper layer of your hair’s shaft. This results in the hair becoming smooth and silky. 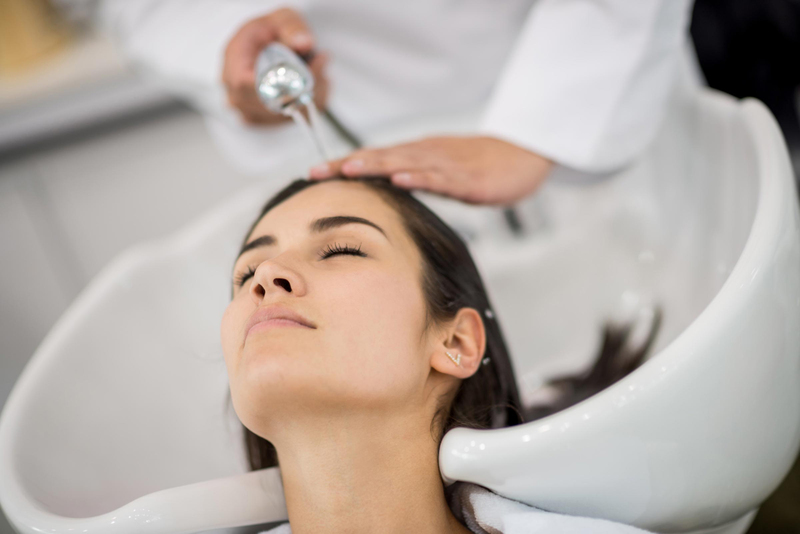 It is advised to use cold water since hot or warm water causes your hair to frizz and lifts your cuticles. If you think cold water is too much during winters, then you can use the bend-and-wash method. It means you just only wash your hair with cold water using a cup pouring slowly through it. Then use shampoo, conditioners and rinse your hair. Get smooth hair with this great idea. You might have heard of Aloe Vera as an ingredient in every shampoo advertisement. Well, that’s because aloe vera has 75 powerful nutrients. It has enzymes that give you healthy hair growth and makes it soft and smooth. The chemical composition of Aloe vera is similar to that of keratin a known nutrient for hair growth. Keratin is essential to healthy silky smooth hair growth. Aloe vera gel penetrates the hair shafts and moisturizes the hair follicles. 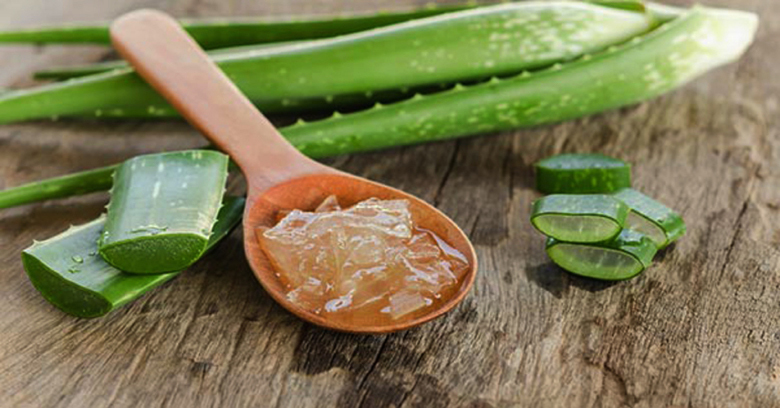 Aloe vera gel can be prepared in the home by extracting the constituents from aloe vera stems. Eggs have protein. You can eat it as well as can apply it to your hair. Whether your hair is oily or limp, damaged and dry, egg hair pack can give you the best solution. It is a natural remedy that takes little time to prepare, while it takes no time to make your hair smooth and bouncy. 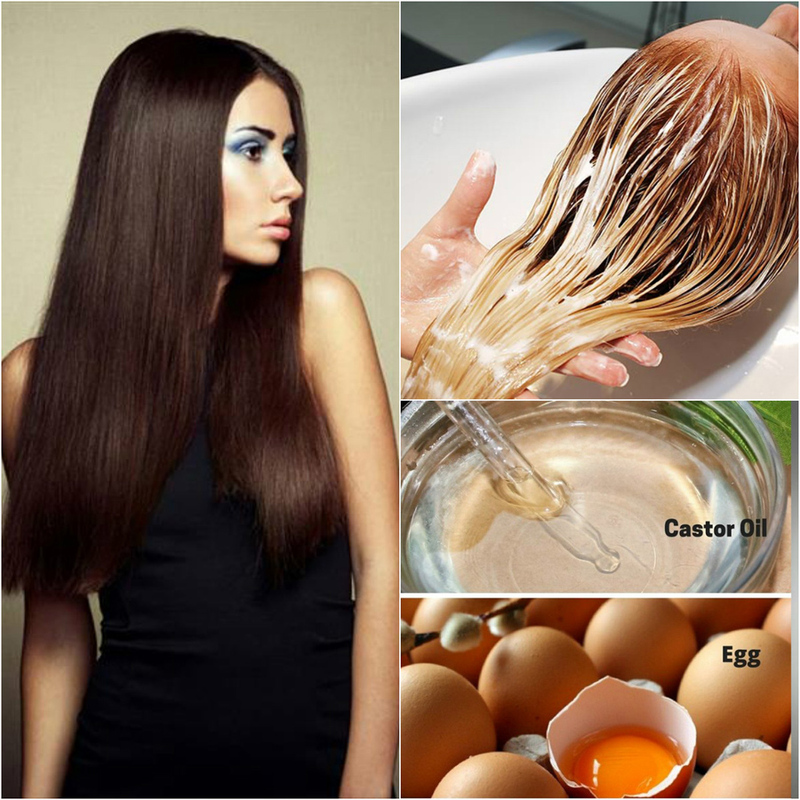 With a mixture of honey, eggs and olive oil, you can get the best egg hair packs for your hair needs. Apply this mixture on your hair in the morning, let it be for half an hour, then rinse it with cold water. Finally, use shampoo to get the silky smooth hair. Just like eggs, banana is also nutritious for hair growth. Bananas are rich in vitamins, potassium, natural oils, and carbohydrates. A mixture of banana and honey can give surprising results. It is full of antioxidants that fight against the free radicals that are formed in the body due to sun’s radiation. Using banana in the hair pack makes your hair feel moisturized and nourished. It treats the irritated scalp and reduces frizz with regular use. When you add yoghurt to the banana pack, it can act as a great hair moisturizer. While using this mix, you need to apply it all over the hair covering everything from the tips to the crown. 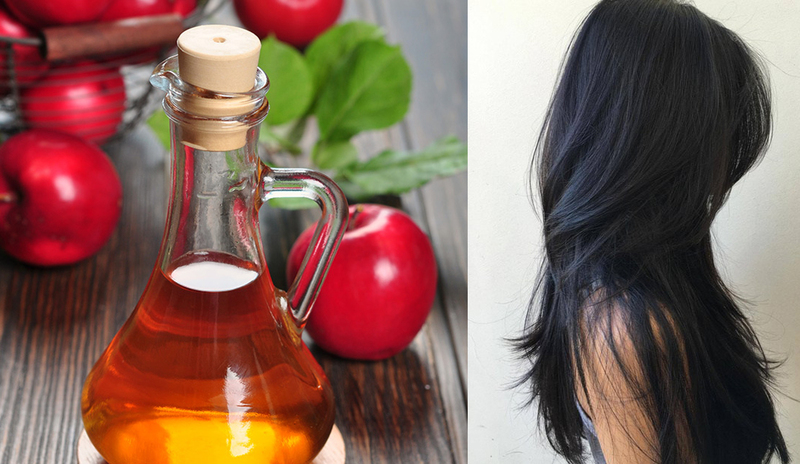 Vinegar has been used for hair growth from antiquity, particularly apple cider vinegar. This has been in use as a natural hair rinse in various cultures. Vinegar has been used for hair growth from antiquity, particularly apple cider vinegar. This has been in use as a natural hair rinse in various cultures. Our hair is slightly acidic with a pH of 5.5. But the chemical shampoos are strongly alkaline. The apple cider vinegar works in such a way that the pH of our scalp is adequately maintained. It is also used for cleaning up the build-up that might have formed due to the use of artificial ingredients. Vinegar helps in closing the cuticles of your hair and makes it softer, shinier and smoother. Hot oil massage is a nourishing one both for your body and your hair. Having a hot oil bath once in a week can keep your hair strong and smooth. It brings out the natural shine in your hair. It helps you to de-stress. Using oils such as almonds, coconut, rosemary, and lavender, you can massage your hair and take out the harmful chemicals from the roots. A combination of these oils can give you better results. When you are using it, you need to give 20 minutes time before rinsing as the oil takes time to penetrate to the roots. Get smooth hair with the help of this idea. Proper conditioning of your hair can go a long way in maintaining hair health. It can do wonders for your hair and make it silky and smooth. You need to deep condition your hair once a week. This can help you maintain the hair and make it smooth. This is a harmless way of keeping your hair healthily. There are various natural serums and conditioners available in the market that can keep the hair nourished and moisturized. It gives the hair a smooth and frizz free look. There are specialized leave-in conditioners that are beneficial for people with curly hair. Many of us use curling irons, blow dryers and straighteners to straighten hair quickly. But that will cause extreme harm to your hair over a period of time. The damages that can occur because of hot irons can damage your scalp and lead to hair loss. Apply a heat protecting serum or hairspray to reverse the damages of heat. Getting a smooth and silky hair is as easy as ever. With the natural ingredients, a nutritious mix can be produced easily at home. It is both cost effective and advantageous to the health of the hair. 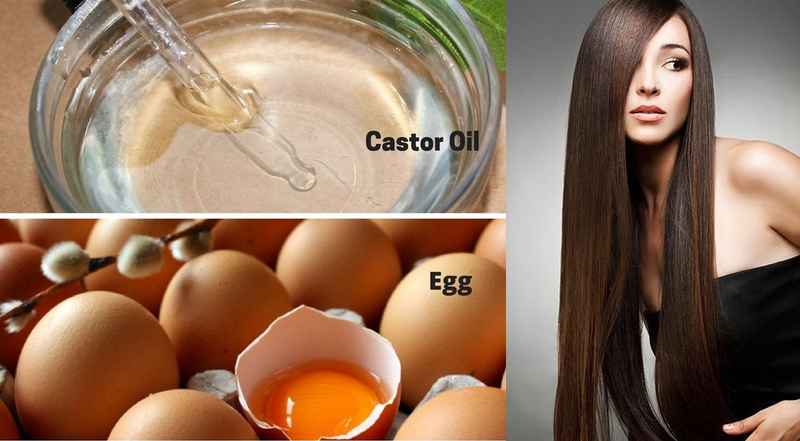 Try any one of these natural methods and get that smooth and shiny hair you have always wanted. Women have used these tips to get healthy hair so that they can try out any hairstyle idea they want.